I discovered “The Little Mermaid” in 1969. That morning, when I opened the door to light the stove to make breakfast, I found my neighbor reading under a streetlight. The red plastic wrap indicated it was Mao’s collected work. She must have been there all night long, for her hair and shoulders were covered with frost, and her body shivered from cold. She was sobbing quietly. I got curious. What kind of person would weep from reading Mao’s words? I walked over and peeked over her shoulders. What I saw made me shiver. The book in her hands was Hans Christian Andersen’s fairy tales, and she was reading “The Little Mermaid.” The day I heard the story in my kindergarten, I begged my mom to send me to school right away so that I could read the fairy tales by myself. By the end of my first grade, however, the Cultural Revolution began. Schools were closed, libraries sealed. Books, condemned as “poisonous weeds,” were burnt on streets. I thought I’d never see “The Little Mermaid” again. My clever neighbor had disguised Anderson’s “poisonous weed” with the scarlet cover for Mao’s work. Engrossed in the story, she didn’t realize my presence behind her until I started weeping. She jumped up, fairy tales clutched to her budding chest. Her panic-stricken face said she was ready to fight me to death if I dared to report her. We stared at each other for an eternity. Suddenly she started laughing, pointing at my tear-stained face. She knew then that her secret was safe with me. She gave me 24 hours to read the fairy tales, and I loaned her The Arabian Nights, which was missing the first fifteen pages and the last story. But the girl squealed and started dancing in the twilight. When we finished each other’s books, we started an underground book group with strict rules for safety, and we had books to read every day, all “poisonous” classics. Soon I excavated a box of books my mother had buried beneath the chicken coop. I pried it open with a screwdriver, and pulled out one treasure after another: The Dream of the Red Chamber, The Book of Songs, Grimm’s Fairy Tales, The Tempest, The Notre Dame, Huckleberry Finn, American Dream, each wrapped with waxed paper to keep out moisture. I devoured them all, in rice paddies and wheat fields, on my way home from school and errands. I tried to be careful. If I got caught, the consequence would be catastrophic for my entire family. My mother finally discovered I had unearthed her treasure box, and set out to destroy these “time bombs.” She combed every possible place in the house: in the deep of drawers, under the mattress, chicken coop... It was a hopeless battle: my mother knew what tricks I had in my sleeves. Whenever she found a book, she’d order me to tear the pages and place them in the stove, and she’d sit nearby watching the words turn into cinder. When the last book was burnt, I went to the coop to sit with my chickens. Hens and roosters surrounded me, pecking at my closed fists for food. As tears flowed, the Little Mermaid came to me. She stepped onto the sand, her feet bleeding, and she could not speak, yet how her eyes and body sang and summoned me to join in! That night I started telling stories--the Little Mermaid, Romeo and Juliet, Huckleberry Finn, Aladdin...first to my siblings, friends, then to the neighbors—stories I found from those forbidden treasures, stories I made up for myself and my audience. We gathered on summer nights, in the winter darkness. When I spotted my parents in the gathering and saw the stars in their eyes, I knew I had won the war. 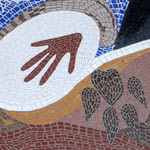 First published at Kinship of Rivers. Copyright © Wang Ping. All rights reserved. ABOUT THE AUTHOR: Wang Ping was born in China and came to USA in 1986. She is the founder and director of the Kinship of Rivers project, a five-year project that builds a sense of kinship among the people who live along the Mississippi and Yangtze rivers through exchanging gifts of art, poetry, stories, music, dance and food. 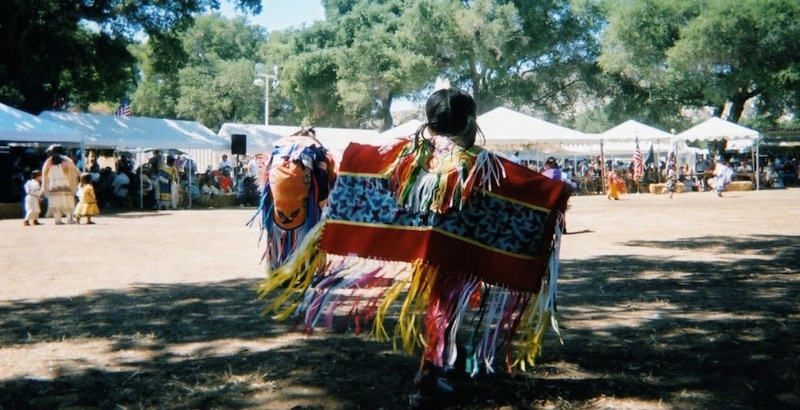 With other artists and poets, she has been teaching poetry and art workshops to children and seniors along the river communities, making thousands of flags as gifts to bring to the Mississippi during 2011-12 and to the Yangtze in 2013. Her publications include American Visa (short stories, 1994), Foreign Devil (novel, 1996), Of Flesh and Spirit (poetry, 1998), The Magic Whip (poetry, 2003), The Last Communist Virgin (stories, 2007), All Roads to Joy: Memories along the Yangtze (forthcoming 2012), all from Coffee House. New Generation: Poetry from China Today (1999), an anthology she edited and co-translated, is published by Hanging Loose. Flash Cards: Poems by Yu Jian, co-translation with Ron Padgett, 2010 from Zephyr. Aching for Beauty: Footbinding in China (2000, University of Minnesota Press) won the Eugene Kayden Award for the Best Book in Humanities, and in 2002, Random House published its paperback. 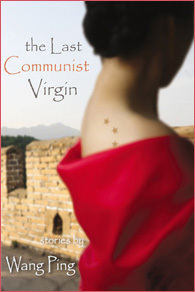 The Last Communist Virgin won 2008 Minnesota Book Award and Asian American Studies Award. She had two photography and multi-media exhibitions--“Behind the Gate: After the Flooding of the Three Gorges” at Janet Fine Art Gallery, Macalester College, 2007, and “All Roads to Lhasa” at Banfill-Lock Cultural Center, 2008. She collaborated with the British filmmaker Isaac Julien on Ten Thousand Waves, a film installation about the illegal Chinese immigration in London. She is the recipient of National Endowment for the Arts, New York Foundation for the Arts, New York State Council of the Arts, Minnesota State Arts Board, the Bush Artist Fellowship, Lannan Foundation Fellowship, Vermont Studio Center Fellowship, and the McKnight Artist Fellowship.